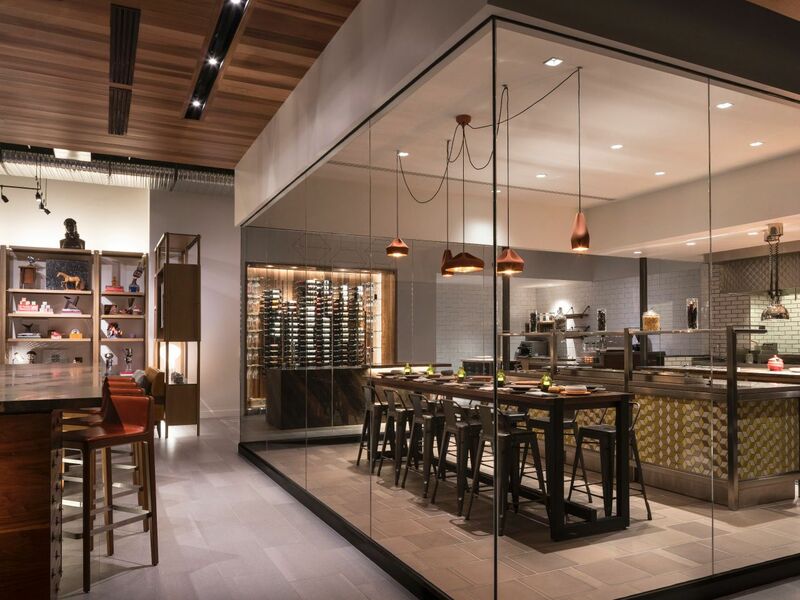 Camelback Mountain provides the backdrop for views from Weft & Warp Art Bar + Kitchen and its glass box kitchen, plancha grill, and exclusive “kitchen” table. 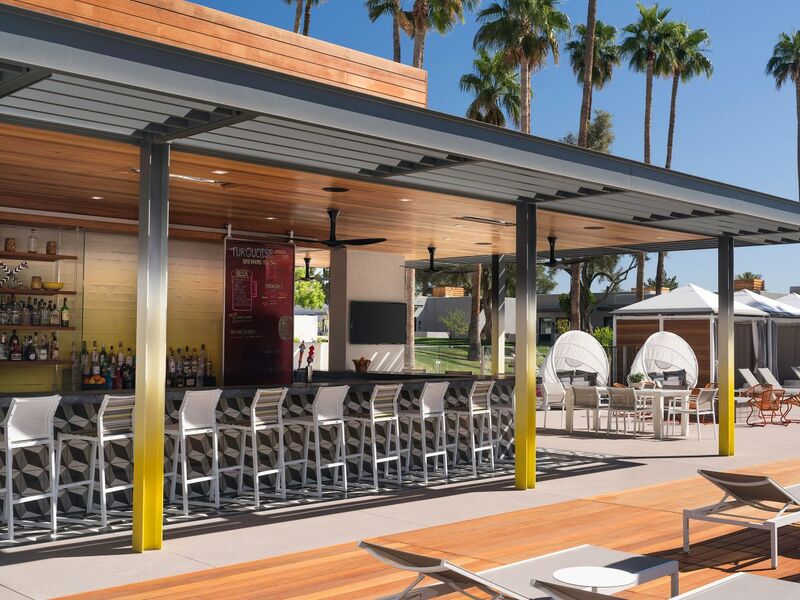 Enjoy inspiring dining experience of a unique blend of locally-sourced ingredients, refined cooking techniques and desert inspired craft cocktails or stop by the Turquoise Pool Bar for poolside snacks and cocktails under the sun. 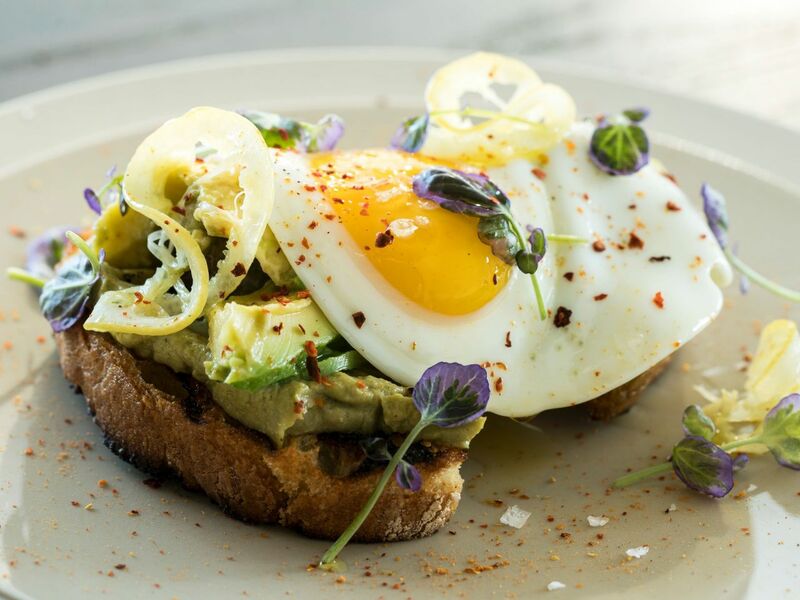 Weft & Warp Art Bar + Kitchen is a fusion of tradition and innovation, practice and invention, resulting in the quintessential Sonoran dining experience. Enjoy breakfast, lunch or dinner in a unique, glass enclosed, living room style environment, with a one-of-a-kind view of Camelback Mountain. Watch our chefs showcase their passion for locally-sourced ingredients in an exclusive experience perfect for a small groups or an intimate meal with friends. Bar Menu: 3:00 p.m. - 10:00 p.m.
Dinner: 5:00 - 10:00 p.m.
Bar: 9:00 a.m. - 11:00 p.m. Adjacent to the Turquoise Pool, the Turquoise Pool Bar offers light bites and cocktails. Settle into a lounge chair, canopied poolside daybed or luxury cabana and enjoy fresh selections from the ultimate pool party menu. 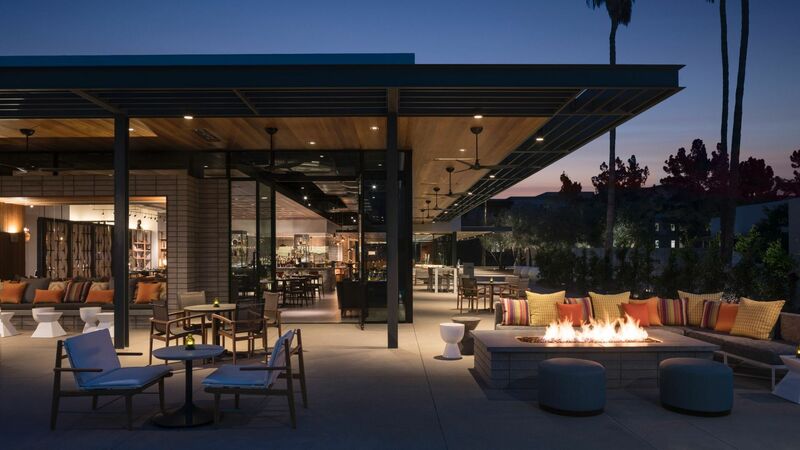 Savor fresh ceviche and salads, or wraps and skewers from the grill, paired with your favorite wine, beer, classic or signature cocktails while enjoying stunning views of Camelback Mountain and the Praying Monk. Pool: 6:00 a.m. - 11:00 p.m.
Bar: 10:00 a.m. - 6:00 p.m. Dining: 10:00 a.m. - 6:00 p.m. Enjoy a unique, in-room dining experience featuring a wide variety of local favorites.